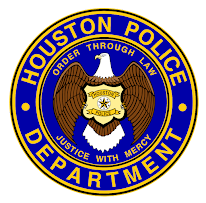 HPD would like to recognize and commend the below listed officers for their outstanding performance apprehending four car-jackers who robbed two victims using multiple weapons. 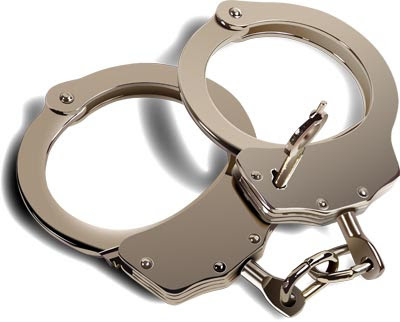 The officers involved in the arrest were R. Giannini, M. Ortiz, G. Thornburg, K. Harvey, D. Small, and T. Le. 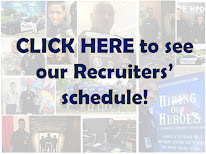 These officers are all assigned to the Southeast Patrol Division. Assisting in the arrest - K-9 Sergeant S. Red, along with Helicopter officers R. Hardaway and R. Ashford. Officers Giannini and Ortiz were dispatched to a call regarding regarding four suspects stripping a white truck. Once they arrived they observed four male suspects, all matching the correct descriptions, standing around a white truck. The suspects took off running as soon as they saw the officers approaching. Officers Giannini and Ortiz gave chase on foot and each captured a suspect, however, the remaining two suspects escaped. Officers Harvey, Le, Small and Thornburg quickly arrived on the scene, as did the Helicopter Unit and the Canine Unit. A perimeter was established and a systematic search was conducted. The Helicopter Unit spotted the other two suspects several streets away and the canine unit blocked the suspects’ escape. K-9 Sergeant Red and his partner, Natan, located the suspects on the front porch of a residence. The suspects had been trying to force the resident to drive them out of the area. The K-9 Unit prevented the suspects from leaving and held them on the porch until additional officers arrived to take them into custody. Officers checked on the truck that the suspects were stripping and learned that it was not reported stolen. Investigation revealed that the owner resided outside of Houston. Officers contacted the owner and learned that she loaned her truck to her son so he could drive to Houston. She informed officers that her son had just contacted her informing her that he and his friend had just been car-jacked at gunpoint and her truck was stolen in the robbery. She gave officers her son’s cell number and officers contacted him. Officers learned that he was in the process of making a police report regarding the robbery and stolen truck. Officers spoke with the officer who was in the process of taking a robbery report from the victims of the car-jacking and were informed that the victims could identify the suspects. Each suspect was charged with Aggravated Robbery with a Deadly Weapon/Firearm and one suspect with an additional charge of Possession of Marijuana. It was also learned that they were also suspects in a home invasion case that occurred in the same area just prior to the robbery. Had it not been for the officers’ professionalism, initiative, and teamwork, the four violent criminals would have easily eluded capture. Thanks to these officers, the intended outcome was accomplished and resulted not only in the removal of these four violent armed criminals from our streets, but also prevented them from committing additional violent crimes. HPD would like to commend these officers for a job well done. Wow! Just wow! Outstanding police work, plain and simple! The streets are four bad guys safer tonight thanks to these officers.